I saw these on Jars of Cute and I had to share them as well, especially after seeing the Creme Egg!! I seriously love Creme Eggs... I can't even decide which one I like the best... they are all just delightful and my favourtite treats! 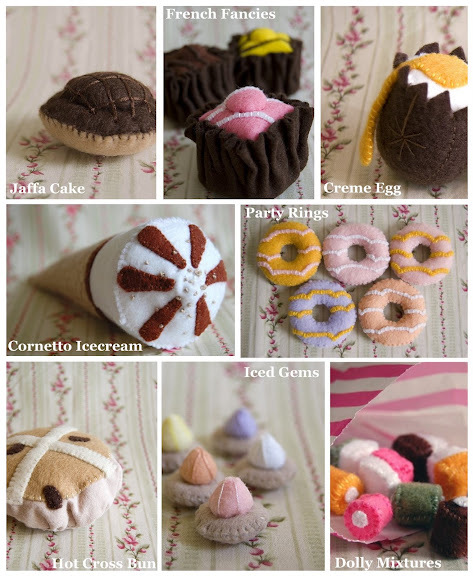 They are too cute - check out British Tea Cream for more delights - I think I'm going to have to get some, but which ones?! p.s. I didn't spot the bourbon biscuit when putting together the image - eep! Too cute!